Mr. Dawes was born in Peoria, Illinois and raised in Miami, Florida. He graduated from The University of Tennessee in Martin and then became a High School Teacher and Football Coach for seven years before entering the insurance industry with Prudential Preferred. Starting as a Full-Time Career Agent from 1982 to 1986, he became a Division Manager from 1987 to 1989 and led his office to a Regional trophy. 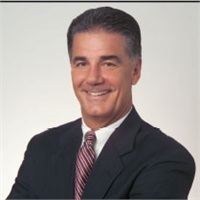 From 1989 to 1991, Mr. Dawes was an Associate General Agent and became the Managing Partner in the Wisconsin Agency in 1992. During his tenure as Managing Partner, he received the Bronze, Silver, Gold, and Platinum awards from GAMA from 1992-2001 and 2003. He also led his Agency to Regional and National production trophies from 1987-1988 and from 1992-2001. Mr. Dawes became President of Peachtree Planning of Tennessee on December 1, 2004 and CEO of Peachtree Planning on 2016. The firm is currently ranked in the top 10 in Life Insurance and Financial Planning firms by the Atlanta Business Chronicle and the Nashville Business Journal, and was named number one Top Small Workplace 2011 by the Atlanta Journal and Constitution. The firm has been a qualifier for the highest award offered by the The General Agents and Managers Association (GAMA), the Master Agency Award, every year since 2005 and was named the 2008 National “First in Class” recipient. Mr. Dawes received his Chartered Life Underwriter® (CLU®) designation in 1990 and his Chartered Financial Consultant® (ChFC®) designation in 1991 from The American College in Bryn Mawr, Pennsylvania. Mr. Dawes is a member of Brentwood Methodist Church and also belongs to numerous professional organizations (NALU, AALU, Society of FSP). He lives in Brentwood, Tennessee with his wife, the former Tammy Elenbaum. They have two children, Ashley, a graduate of The University of Tennessee, and Dustin, a graduate of Marshall University. His office is located at 5040 Roswell Road, Atlanta,GA 30342 and 9019 Overlook Blvd., # D-1, Brentwood, TN 37027. The phone number is (615) 376-8302 and fax number is (615) 376-8303, and his email address is [email protected].